Cultivate Mission is a long awaited desire for us as we continually seek to instill a stronger vision of missional living in the lives of believers. Our goal is simple: we care about the full embrace of every professional field as a means for living out our faith and engaging the Kingdom. It is critically important that we understand we are not alone… either as a teacher and one who is equipping or as a professional and one who is trying to live out our faith every day. We have provided a very robust and powerful way for you to connect with others, to wrestle with specific issues and topics that others care about as well. You can keep up to date on fresh content, launch your own group for specific matters or for getting together with people in your geographical area. We live in a world that is going to increasingly try to isolate those who really “get it”. If you don’t find that at your university, we pray you will be able to find it here. 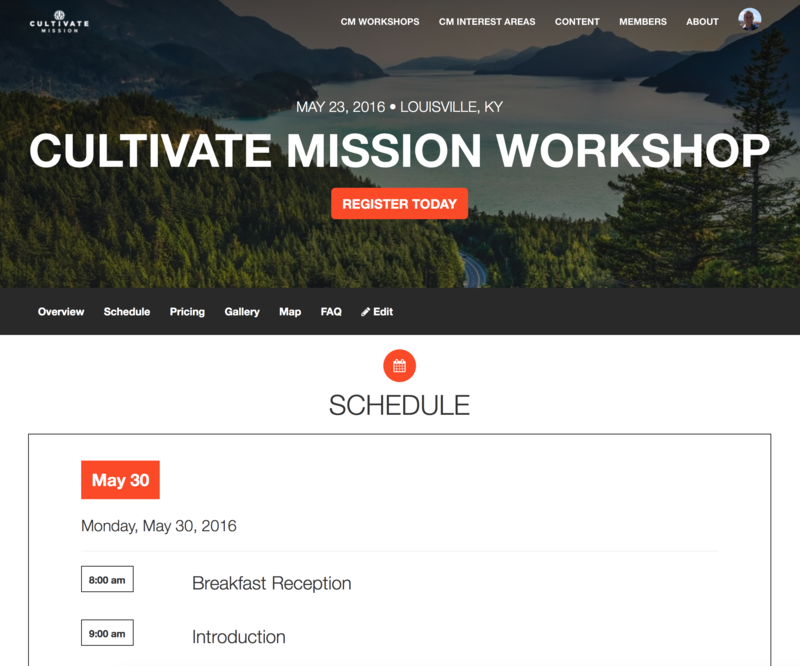 The hallmark of the Cultivate Mission community are the CM Workshops. These are one day events that allow you to connect with others who share your same heart for equipping the next generation and provide an excellent environment to learn many other best practices. The purpose of the CM Workshops are for you to walk about with a wealth of fresh ideas and new relationships… all building on the truth that you are not alone on this journey of equipping the next generation for extraordinary things. The structure of the CM Workshops will host a morning TED-style presentation on various best practices for student engagement while capturing key take-aways and a period for collective brainstorming. Lunch is provided. Following lunch everyone will break into groups to prototype fresh ideas for new ways to engage students and conclude the day by sharing with the other teams their prototypes. These events are limited to 30 people per event. We all have our unique identity, the unique ways in which God created us. This is important, for it makes us who we are… and no two of us are exactly the same. But as different as we are, we all share certain things in common. Yes, we share a common faith, but some of us share a common university or academic area or God has impressed upon us a passion for a particular issue or topic and we share that with others who have that same passion. The content is therefore organized and linked together so that you can view the content that is relevant to the areas that matter to you. Additionally, you can see the other members who have selected this area as part of their “DNA”. This is what we call a “gathering” of like-minded people according to their interests. 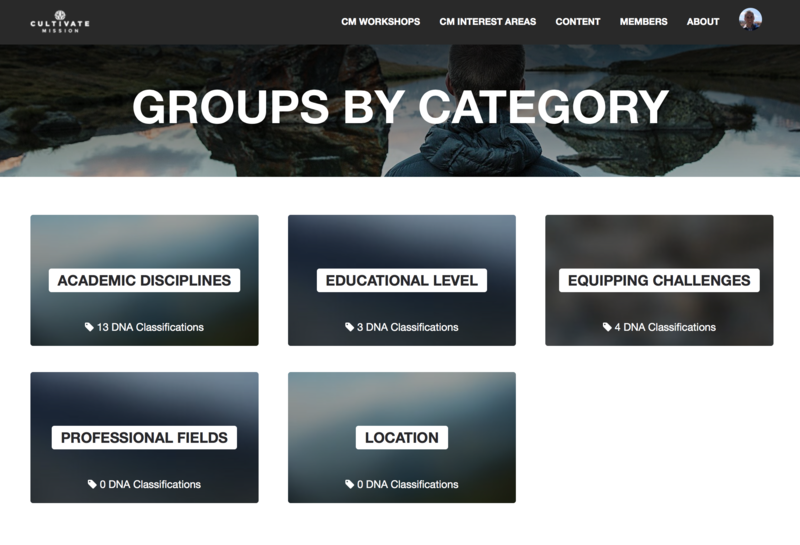 Your DNA selections, then, are what places you in those gatherings of like-minded people. You can remove yourself from a gathering or join one by simply editing your profile. You can do this by clicking on the photo icon to the top right and then click “Edit Profile”. Now click “Communities” and edit as you please. Remember, this is your community. We’ve built this entire environment for you to explore, to learn, to connect, and to be encouraged. Our hope is that the strength of community can change our lives and the world around us. Join us on this journey towards truth and unity. You are never alone.